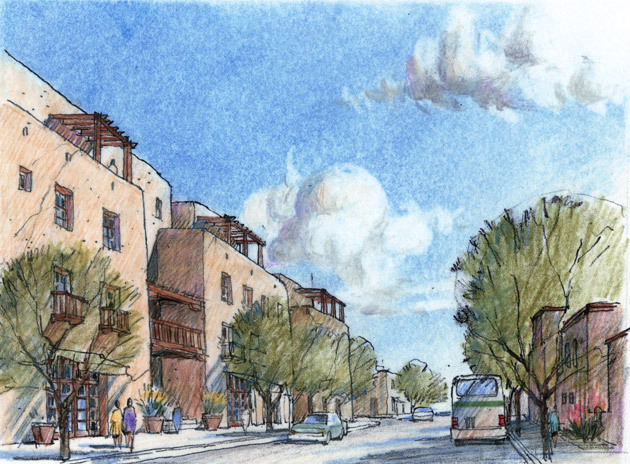 A community with deep cultural roots, Albuquerque is distinguished by a profound urban history that over the last two centuries has generated especially livable buildings and vibrant places with unique regional character. 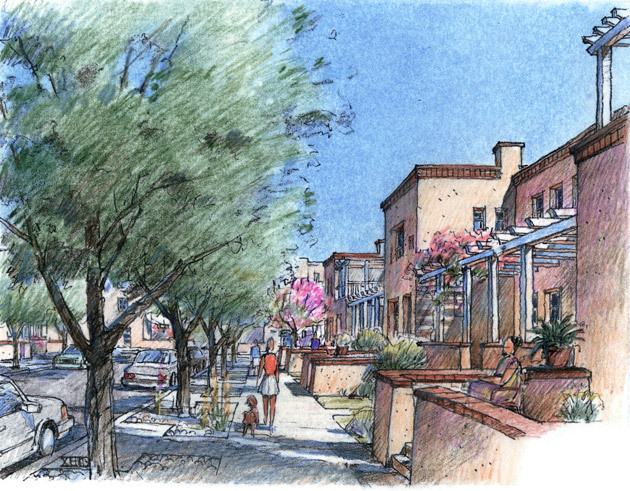 Misguided urban renewal in the 1960s unfortunately led to the demolition of most of Albuquerque’s historic Alvarado District, although a few remaining buildings and activities in the district provided the foundation for the redevelopment plan, bringing significant new private and public improvements to the area. 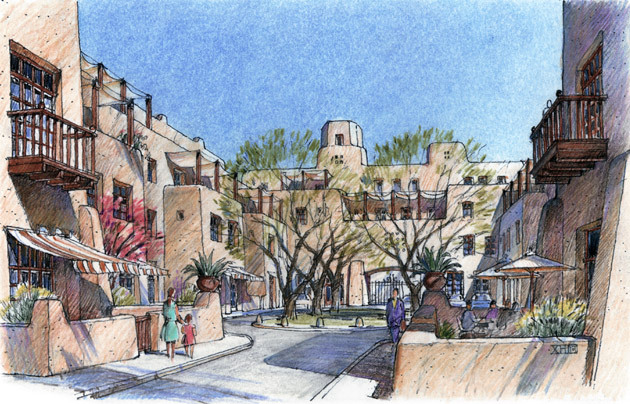 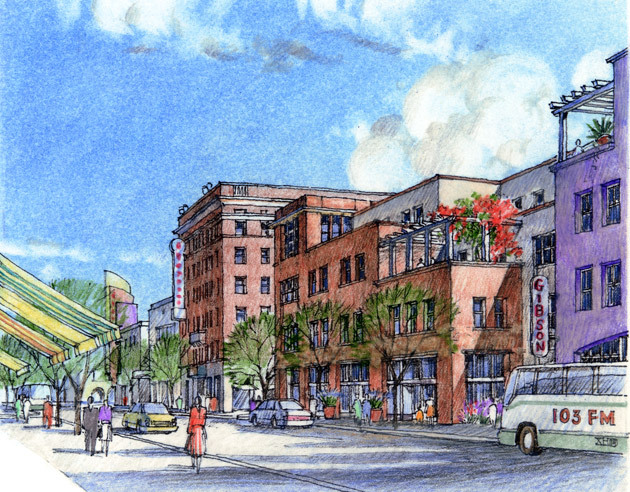 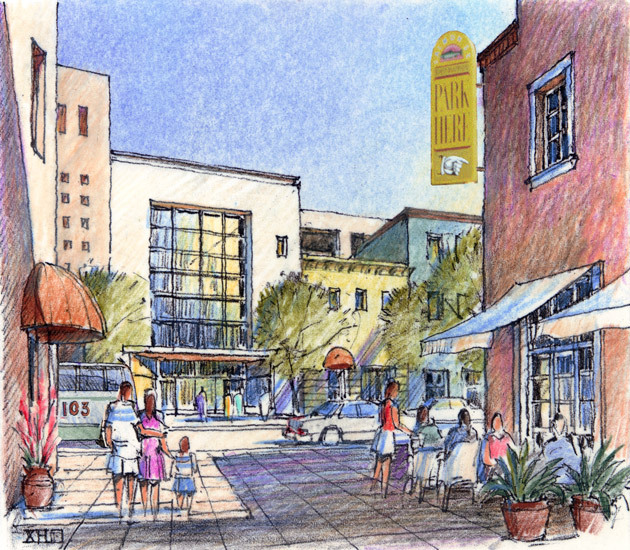 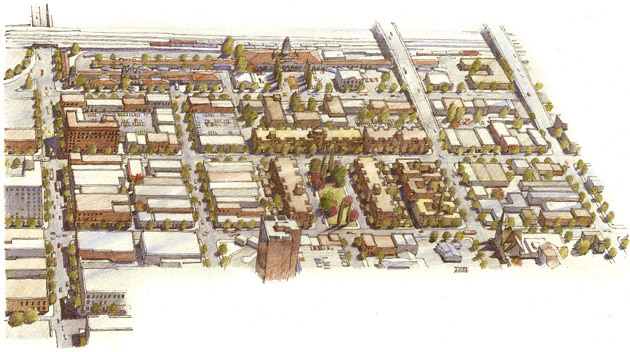 The project included the reconstruction of the Alvarado Hotel as a municipal transportation center and the reconstruction of the Santa Fe Depot. 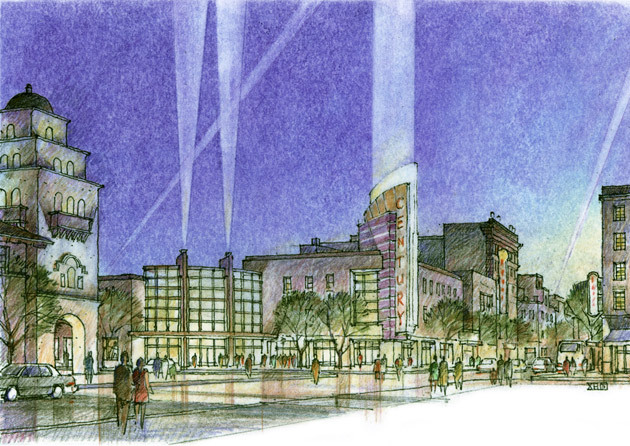 The program incorporated 175,000 square feet of retail and entertainment uses in four city blocks, including a 14-screen theater complex, 300 units of housing in a variety of building types, 100,000 square feet of office space and two joint-use park-once garages.